Carlos Rojas attended the Universidad Javeriana and the Universidad Nacional (Bogota, 1953-1954), and the Escuela de Bellas Artes and the Instituto de Artes (Rome, 1958-1959). His first works, produced during the second half of the 1950s, were figurative still-lifes with fruits, vegetables, trees, and naturalistic drawings. At the end of the decade, he adopted cubist aesthetics and the collage. He created the still-lifes of the series Papeles pegados with cut paper and plastic taken from mass consumption products, giving the works a “Pop” character. This Pop tendency continued in the series Mujeres en faja, in which he adhered feminine undergarments and other articles of clothing to the canvas. In the 1960s, Rojas turned to extreme rationalism in his art. He abandoned the curved line and looked to scientific ideas for a sort of methodological guide. His works could be divided into two groups. 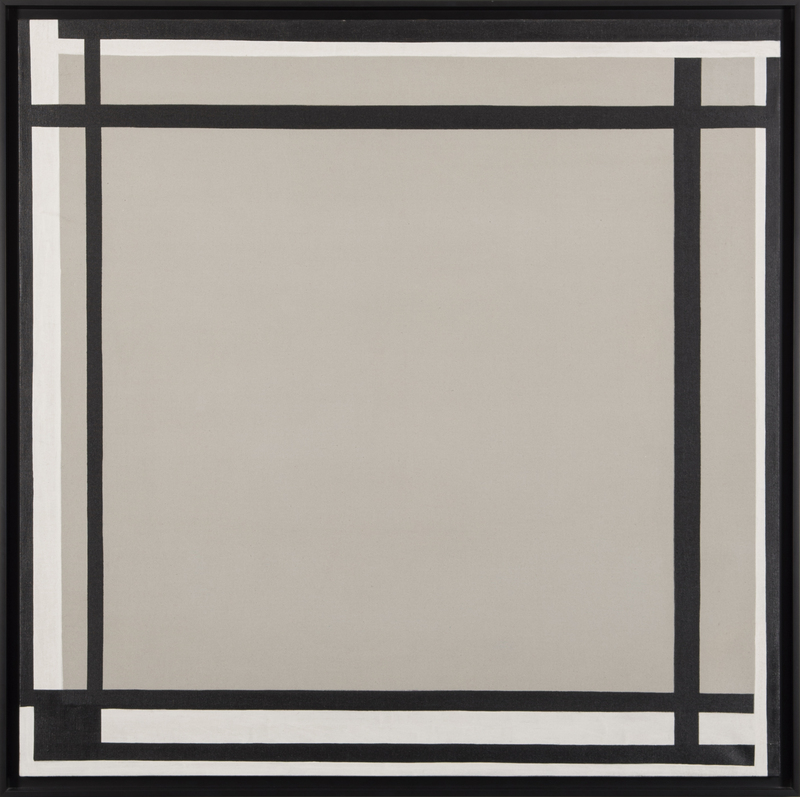 The first “Ingenieria de la razón”, for which he received the first prize at the 20th Salón de Artistas Nacionales, 1969, included the series Signos y señales; and Pueblos, in which square form, design, and investigation of space predominated. The first series was almost monochromatic, whereas in Pueblos, which alluded to Colombia’s cultural and geographical diversity, color predominated. In works inspired by the American continent included in the series “America,” the continent’s nature and its ancestral culture became Rojas’s main interest. Among the works of this period were Horizontes and Cruzados, paintings in which the line and the color, obtained from experimenting with natural and artificial pigments, were the visual protagonists. In Horizontes, which received first prize at the 13th São Paulo Biennial (1975), the canvas was covered with colored bands (horizontal or, sometimes, verticals) inspired by the landscapes of the different Colombian regions with their particular climates and vegetation. In contrast, Cruzados was inspired by traditional textile designs and the pattern of the urban landscape, specifically New York’s, from an aerial perspective. 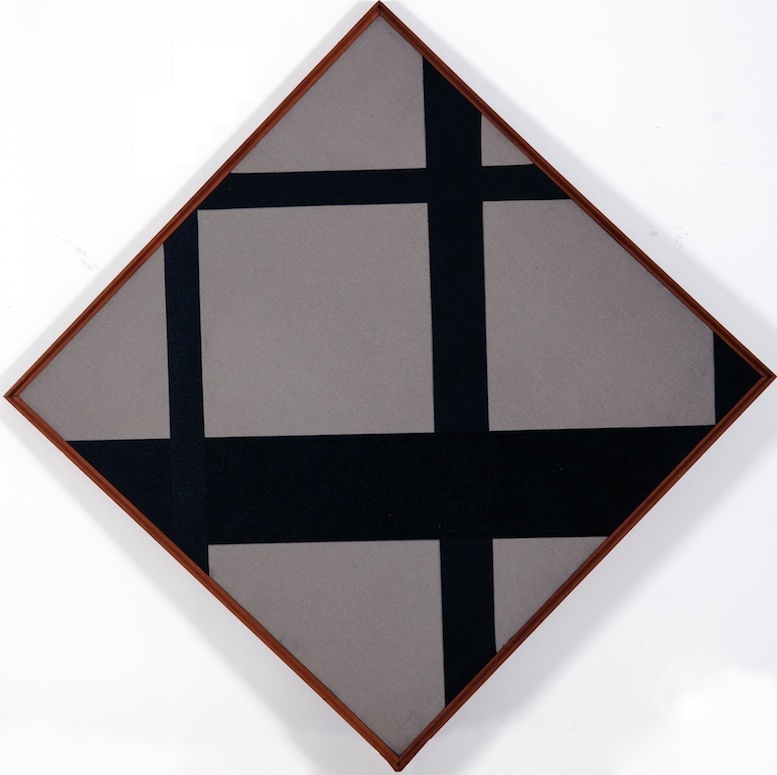 At the beginning of the 1970s, a new sense of abstraction was present in Rojas’ work. In the series El Dorado, the surface of the canvas was filled with golden textures representing symbols of the sun, cosmic dust, and faith. In this piece, the meaning and the material used were more important than its geometric character. In the series Mater material, the artist dealt with his concern for the sociopolitical chaos that prevailed in the world, and especially in Colombia. In the works of that period Rojas rejected technical perfection. On the contrary, the material, generally wood, was often left raw and sometimes brutally broken or partially destroyed. In the 1980s, Rojas maintained this approach in the series Mutantes, in which dirty, broken, and used materials (wood, brass, cardboard) alluded to urban poverty. At the beginning of the 1990s, Rojas’ painting synthesed ideas from his previous works. This is exemplified in the series Por pintar. A return to the geometric and the eminently pictorial was combined with the new materials and the execution was rough. Parallel to his work in two dimensions Rojas created sculptural work. Although most of his sculptures were geometric, some of the ones produced during the 1960s had organic forms. During the 1970s, the geometry of the three-dimensional works were conceived in constructivist style. They were light, linear and precise in their structure with the forms dynamically demarcating empty spaces. For Rojas, the true destiny of a sculptural work was only apparent its public display, which is why he designed most of his sculptures for parks, university campuses, and the avenues of Bogota and Medellín, among others.